In April 2003, Tom Hurndall, a young British photojournalist and peace worker, was shot in the head in the Gaza Strip as he carried two young Palestinian children out of the line of sniper fire. As a public appeal continues to get his journals published, writer and activist Libby Powell, a personal friend, pays tribute to his legacy. 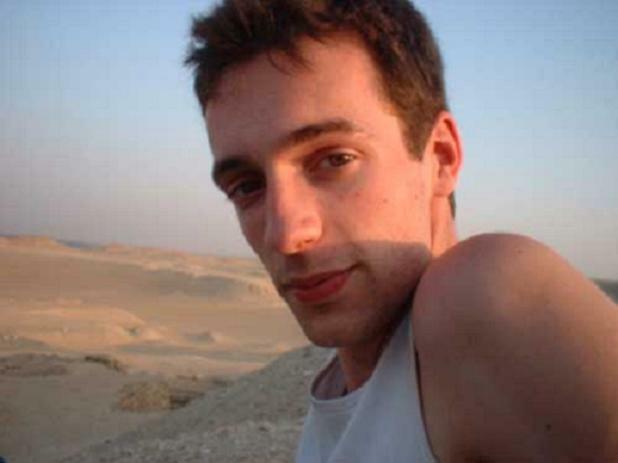 In April 2003, Tom Hurndall, a young British photojournalist and peace worker, was shot in the head in the Gaza Strip as he carried two young Palestinian children out of the line of sniper fire. Fatally wounded, Tom died nine months later, having never recovered from a deep coma. The violence of both his death and the attempts at a cover-up by the Israeli military courts were deeply shocking and, for those of us who knew and loved him, deeply painful. Although a conviction of the soldier who shot Tom was eventually secured, the responsibility for the orders given that day lie well beyond the range of one single sniper. In Rafah, which has borne so many years of occupation, warfare and now blockade, the spot in which he fell is still visited by Palestinian families who wish to pay respects to the young man from north London who came and never left. Tom paid dearly for his desire to investigate one of the world’s longest conflicts. His death is one of thousands which make up the human cost of this ongoing, reckless war. Both a photographer and a writer, he took time to carefully chronicle his journey, which began in central London on 15th Feburary 2003 as millions marched against the impending Iraq invasion. Through his journal entires, emails and photos, we follow his journey from Baghdad to Amman, then the Al-Rweished refugee camp in Jordan, to Jerusalem, and finally on to the town of Rafah in southern Gaza close to the Egyptian border, where US peaceworker Rachel Corrie had been killed just weeks previously. On April 11th, armed with just a camera and wearing an internationally recognizable orange peacekeeper jacket, he was severely wounded, never to regain consciousness. Despite initial claims that the shot had been fired close to Tom’s head as a warning, in the courts it was made clear that sniper was so close he could have shot the buttons of his jacket. Tom’s family have spent a long time going through the writings, poems, emails and photos that Tom left behind. He wrote a great deal, often late into the night, rollie in one hand, pen in the other. Many of us remember his rows of black and red note books on his shelf, full of questions and clarity beyond his years. The decision by his family to publish the journals that follow his last days cannot have been an easy one. However, beyond the personal reflections that are charted in this book, lies a fresh and discerning view of one of the most volatile and important regions in the world. The publishing house behind the book are a small independant organisation called Trolley Books who specialise in photojournalism. Without the substantial funds to produce a run of printed copies of Tom’s journal, his family and Trolley Books launched a ‘crowdfunding campaign’ on Indiegogo, which calls for people to pre-order a copy of the book for £22, which allows the publisher to fund the print of that copy. They need a critical mass in order for the book to be viable for print. Small donations are also welcome as all funding will goes towards the print. There are now just 20 hours left to order copies. Tom was still in a coma when I joined Nottingham University. At that time, Ceasefire was integral in helping to promote a small peace festival that raised funds for Tom’s legal campaign. That campaign eventually led to the first ever conviction for the death of a civilian by an Israeli military figure. Today, I am calling on the readers of Ceasefire to help once again, to help make Tom’s book a reality and prove that war cannot silence those it takes away. Please join the Facebook group and visit the website to place an order. Libby Powell, who was a personal friend of Tom’s, is a writer and activist. She is currently working for a humanitarian organisation that runs medical aid and health development projects in Palestine.